Pascal Gaurin created an unapologetic oud while maintaining the conversation between the iris and the oud from his initial eau de parfum. The richness and luxury of the finest orris note is balanced with the deep smoky facets of a bold oud accord. Woods and leathery notes are intensified for an over the top sensory experience. Diana Vreeland's fearless nature in all aspects of her life was the inspiration for OUTRAGEOUS, a collection of daring parfums absolu by DIANA VREELAND PARFUMS. Opulent variations of three scent structures were explored to create an exaggerated, sumptuous experience for the most discerning and unrelenting fragrance enthusiast. 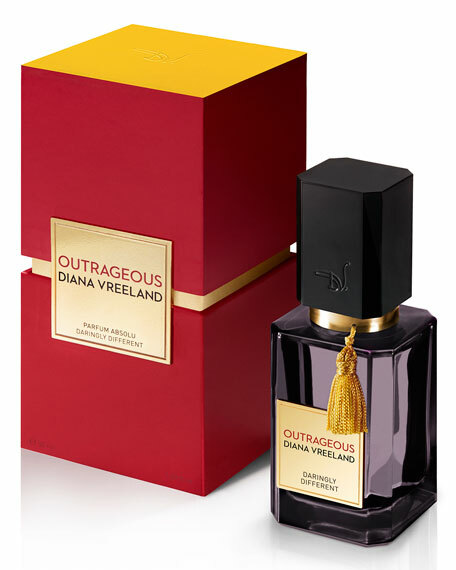 The individual perfumers took Mrs. Vreeland's outrageous nature as the inspirational for their parfum absolu. To avoid overlap with the eau de parfum, the perfumers added beauty, depth and long lasting notes to create a bold and powerful statement.